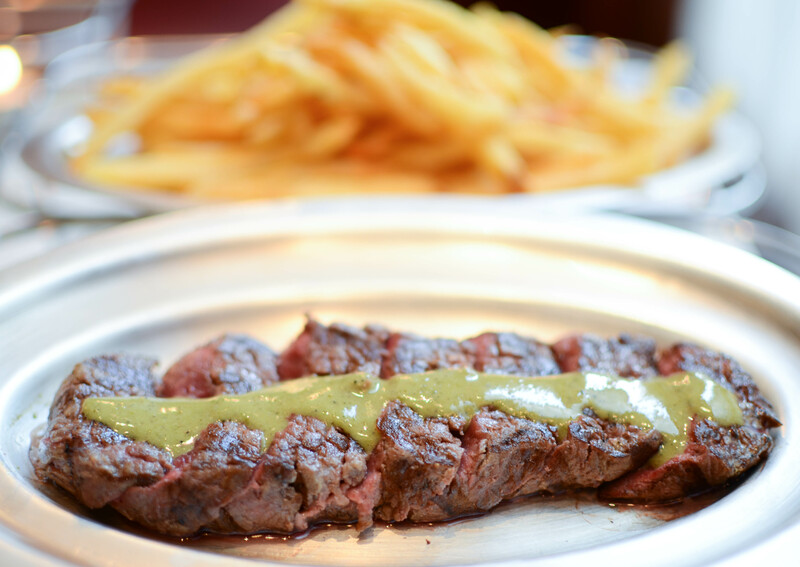 What’s in that amazing green sauce at Le Relais De l’Entrecôte? 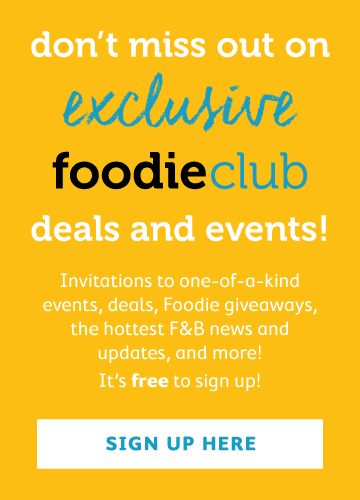 Char-grilled steak, crunchy golden brown french fries, decadent chocolatey and creamy desserts. Truly, a winning formula. 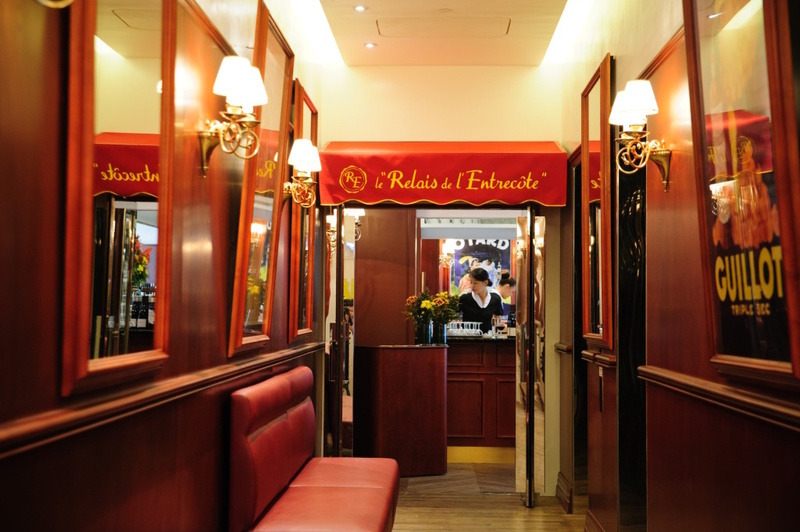 Located in Wan Chai, L’Entrecôte is run by the Gineste de Saurs family, the same family who opened the original Le Relais De Venise - L’Entrecôte in Paris in 1959. They made a few decisions early on which set this business on its path to long lasting success: 1) serving the traditional bistro meal of steak frites as its only option and 2) rather than serving the steak with melted butter, a creamy sauce was developed to accompany the steak, now called the Cafe de Paris sauce. Despite taking a risk with this model, the restaurant flourished and soon became a Parisian institution. There are currently three separate groups of restaurants operated by each of the three children in the Gineste de Saurs family, and we feel lucky to have them here in Hong Kong for our dining pleasure. 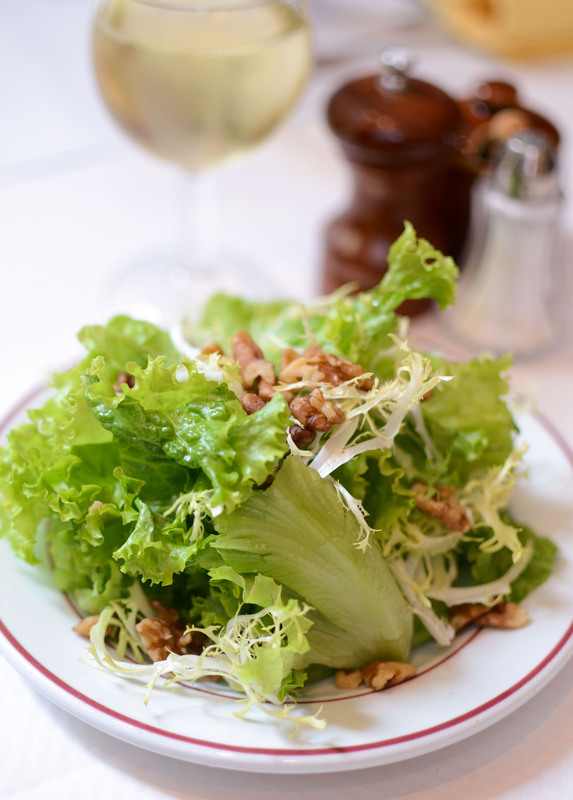 Each restaurant follows the same formula in its meals, and as in Paris, our meal began with a lettuce and walnut salad with a light mustard vinaigrette. Dinner costs $288 and the light lunch option is $168. We opted to start our meal with a glass of the house chardonnay ($68) to get things going. Our steak came out next, and we ordered it rare. 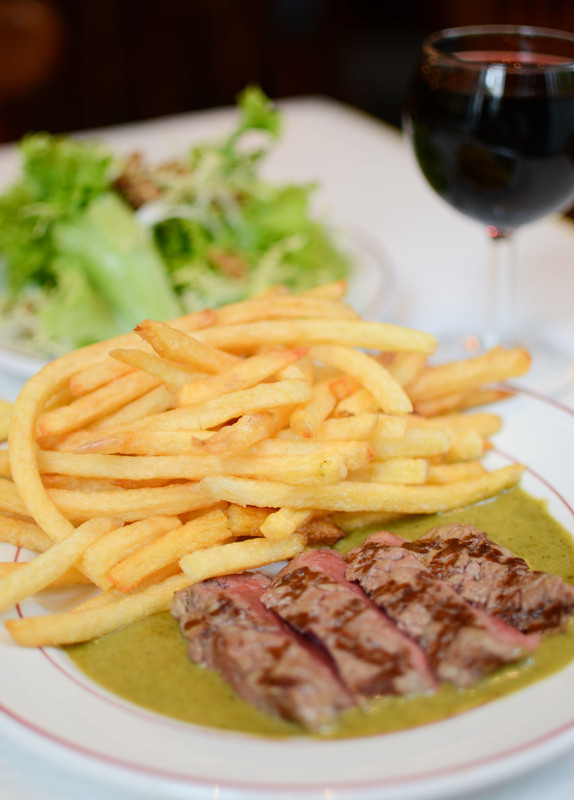 Many of the steak frites restaurants we have dined at in the past feature a hangar steak as the preferred cut of meat. As l’entrecôte means “ribeye” in French, we were delighted to see the thick cut of steak come to the table, sliced for us, and cooked to our liking. At first glance, the green sauce can have a je ne sais quoi feel to it. Let’s be honest… it’s not the most appetising colour, but as we took our first bites and dipped our steak into the green goodness, the freshness in the herbs and the buttery, creamy flavours brought the meat to life. Although our plates of french fries came out a bit more brown than we usually like, we were happy to find that they were both crispy on the outside, and mealy on the inside. In the end, the fries became the optimal instrument for us to eat more green sauce. The last component of L’Entrecôte’s tried and true formula is its decadent desserts. Feeling unabashed, we ordered the profiteroles and the vacherin d'été. We learned that the in-house pastry chef Siu Lai, makes everything from scratch, including the ice cream, sorbets, and all of the pastries. 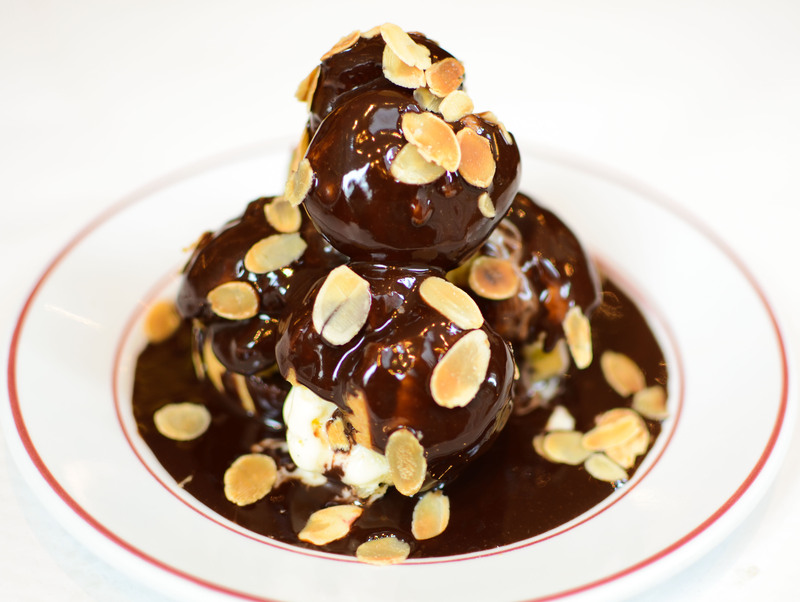 The profiteroles ($88) came stacked like a pyramid and covered in a decadent dark chocolate sauce with hazelnuts. The vacherin d'été ($88) was quite the spectacle as it almost tipped over as the server placed it on our table. 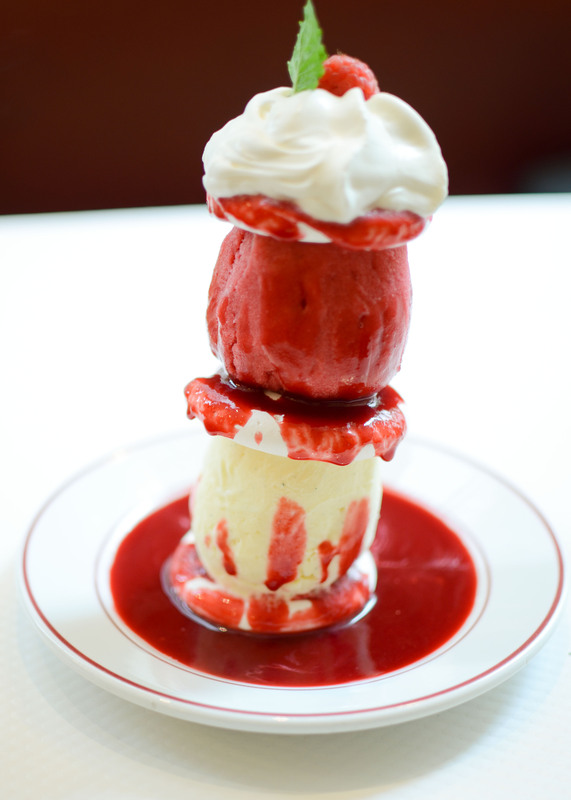 With scoops of vanilla ice cream and raspberry sorbet, sandwiched by meringue wafers, the tower was drenched with a raspberry coulis and topped with fresh whipped cream. There was much discussion throughout the meal about how the sauce was made and we enjoyed offering different hypotheses on the possible ingredients. Although the ingredients of the green sauce remain a family secret, there’s information on the Internet which alludes to what their secret might be. 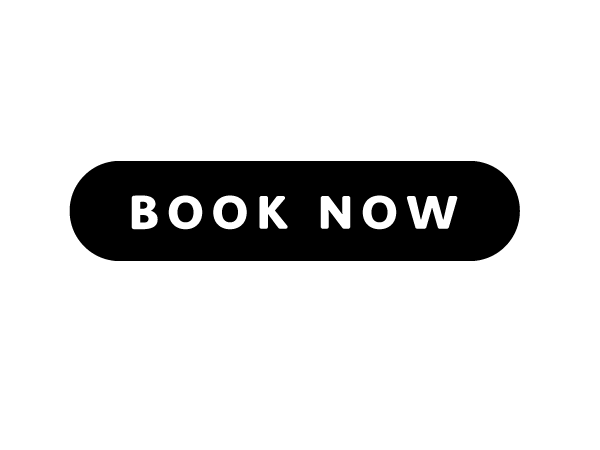 We’ll leave the mystery intact for all of you out there so that you can experience the same amount of delight and wonder we did during our first meal with L’Entrecôte.